There's a saying that goes: The family that plays together, stays together. It may not rhyme as well, but I think it's just as accurate to say: The family that reads together, stays together. From the time our kids were infants, Alfie and I read to them. Even when they would rather chew on a book than read it, we patiently read to them every single night. Those bedtime stories not only helped them learn to read, it instilled in them a love of books that I'm hoping will last a lifetime! Our bedtime story tradition continued long after they learned to read on their own. My kids still have fond memories of giggling to Alfie's crazy impersonations of Dora the Explorer! The kids are in middle and high school now, but even though we no longer gather in bed to read a book, that tradition has brought us closer in unexpected ways. We now have an updated version of the tradition-- every morning at 7:00AM, the kids all come into our bed and we watch 15 minutes of the morning news together. At this point, we can barely fit on our bed (the latecomer always ends up at the foot of the bed! ), but we love this time together because it's a way to say good morning to each other, to snuggle together, and to learn about what's happening in the world. My kids are well versed on current events, and we use the news as opening for discussing topics like smoking, drugs, bullying, race relations, and other things that directly impact their lives. Another way we continue our tradition of reading together is reading the same books, then talking about the books together. I love having discussions with the kids about young adult fiction such as Harry Potter, Percy Jackson, and the Hunger Games! Do you love to read with your family? 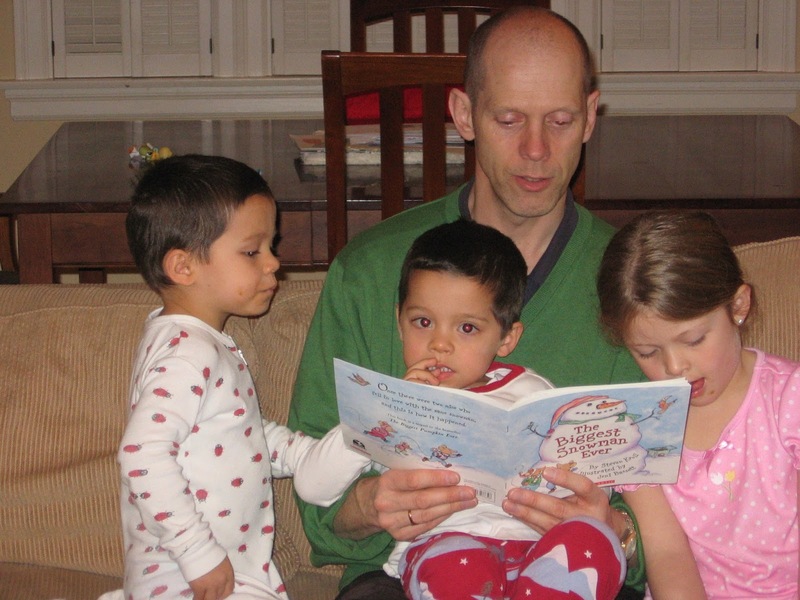 Keep it up -- as it did with my family, reading together will pay off in unexpected ways! Watching our boys play soccer is one of the highlights of Alfie's and my weekend. From time to time, we bring a video camera along to the soccer field to capture their games -- but setting it up and recording is such a hassle that it completely ruins our enjoyment of the game, and the resulting video is usually poorly shot because our tripod is just not high enough to cover all of the action over the entire field. The other day we were at the soccer field and saw a dad piloting a drone right over a field of boys warming up for their next game, and and light went over our heads. A drone with camera is really the best solution for recording a soccer game! What an awesome idea -- you can capture the entire field and zoom in to get closeups of your child taking that perfect shot on goal. 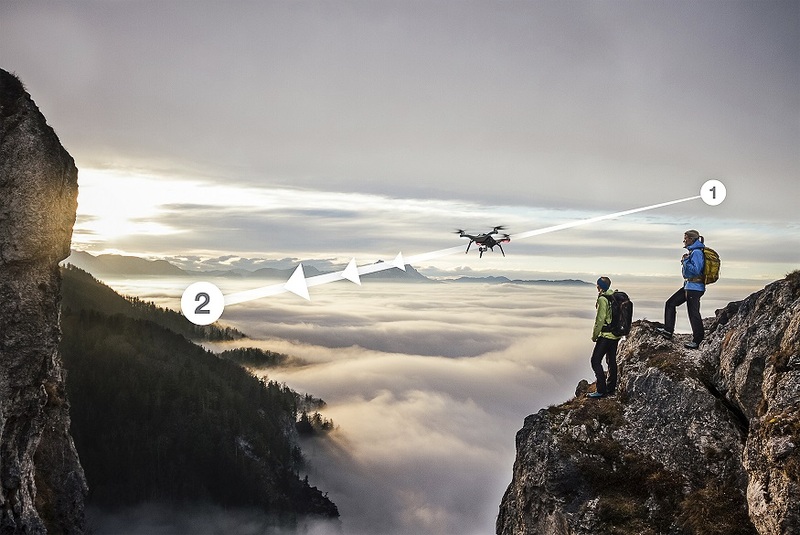 With Father's Day coming up, there's no better occasion to gift the dad in your life with a drone -- and there's no better place to get a drone than Best Buy! 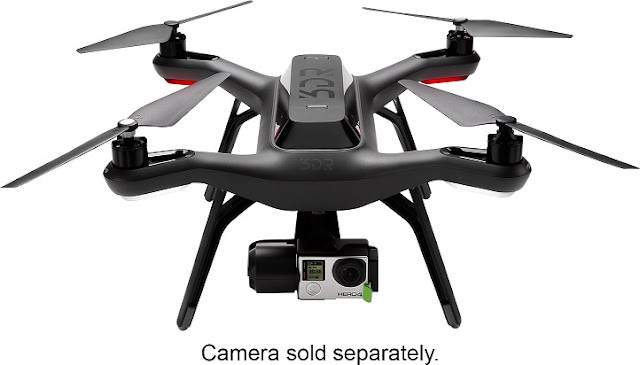 Best Buy is the destination for drones, including the new Solo™ by 3DR, the latest and greatest hi-tech drone. It's the first-ever drone powered by two integrated Linux computers -- one on the craft and one in the controller -- to help users get that perfect shot. Solo's automated flight control makes it easier to control the drone and spend less time flying, more time filming. Solo is the first to support full control of GoPro® cameras. Solo lets users deliver live HD video either wirelessly to your mobile device or through the controller’s HDMI port for live broadcasts. 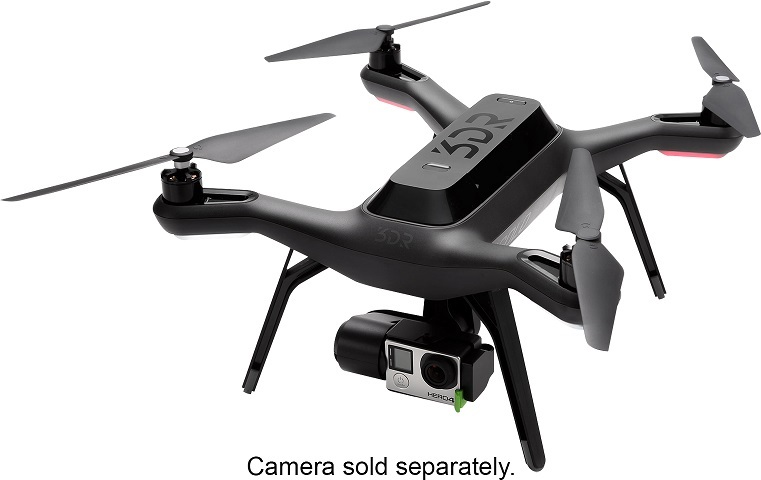 Solo, the Smart Drone, arrived in over 400 Best Buy stores on June 8, just in time for Father’s Day. 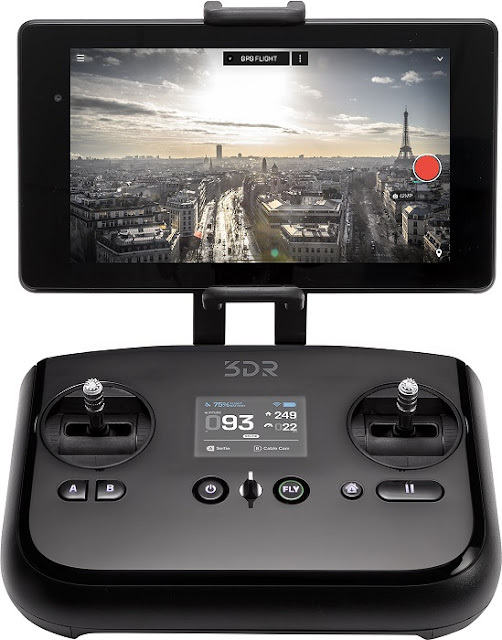 It’s the first-ever drone powered by two integrated Linux computers, making capturing the perfect shot easy for anyone. The Solo retails for $999. Here's a great reason to get your new Solo at Best Buy -- for a limited time, you'll get a free Solo Smart Battery as well! Disclosure: The reviewer has been compensated in the form of a Best Buy Gift Card and/or received the product/service at a reduced price or for free. The views and opinions expressed here are my own. California has the best weather on earth! I know we've got a drought going on right now, but lack of water notwithstanding, I can't think of any place that can beat California's cool mornings, sunny days, and cool nights, pretty much every single day of the year. No tornadoes, no typhoons, no snowstorms, what more can you ask for? (okay, we do have earthquakes, but technically earthquakes aren't related to weather, so...). I can't say enough about California sunshine. Coming from a place where the sun is your enemy, California sun seems milder, happier, friendlier. People don't hide from the sun here, they embrace it! Another good thing about the seemingly endless sunshine that we can rely on it for solar energy. More and more homeowners are relying on solar energy to power their homes, and why not? It's cleaner and it's cheaper, and it's more affordable than ever. We've been thinking about installing solar panels on our roof ever since we did our major home remodel (adding a second story) 10 years ago. Back then, solar panels were too expensive, and we just couldn't afford it. I'm so glad we waited! The cost of solar has gone down so much, and you can even install solar panels with little or no upfront cost, thanks to a recent phenomenon: solar leasing. Our city has some tempting rebates available for both purchased and leased solar panels, so we are seriously thinking about solar leasing. If you're new to solar, you probably have a lot of questions. 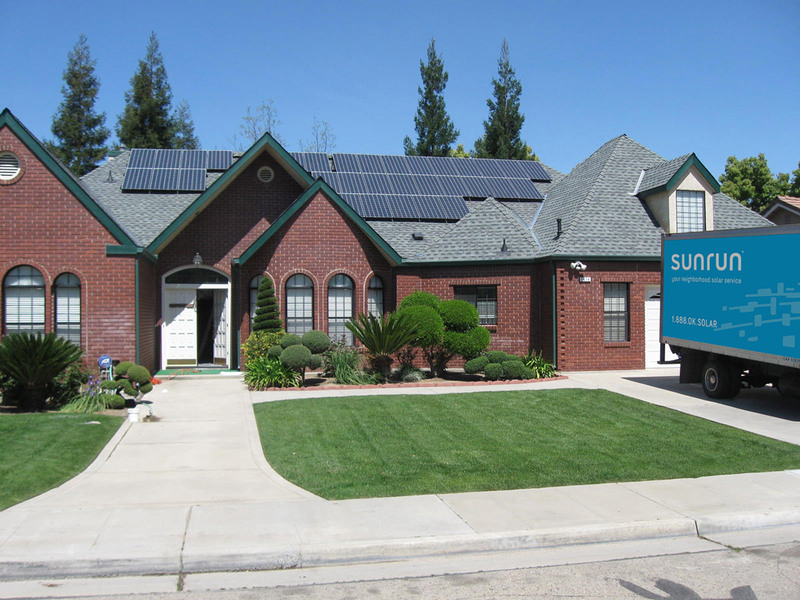 Today I'm teaming up with Sunrun, a company that provides solar leases, to answer some of the most frequently asked questions that homeowners have about going solar. What are my options for going solar? 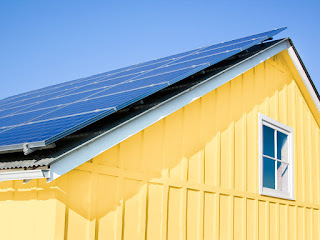 Today’s homeowners have two main options when choosing to go solar: purchasing a system or leasing a solar system with a solar service provider. When a homeowner purchases a system, there is a high upfront cost, and the homeowner is often responsible for shopping for a system or installer, managing the installation, insuring the system, completing the paperwork for tax rebates and credits, monitoring and maintaining the system, replacing expensive parts, etc. 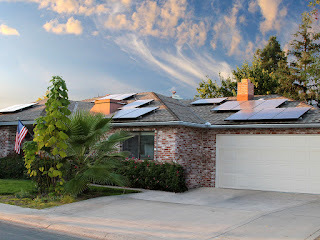 This can be a headache for the homeowner, which is why most homeowners choose to go solar with a solar lease provider. What is a solar lease or power purchase agreement (PPA)? Leased solar (also called a “PPA” or “third-party owned solar”) allows homeowners to go solar with little or no upfront cost. The solar lease provider purchases the equipment, installs it on your roof, and monitors and maintains the system throughout the life of the agreement. The homeowner pays a low rate for the electricity the system produces. In 2013, 72% of California homeowners who went solar did so with a third-party owned system, according to Go Solar California. Note that leased solar isn’t available in every state due to a variety of factors. Visit Sunrun.com to see if Sunrun solar service is near you. How much does leased solar cost? A common assumption is that solar always has a high upfront cost, and that’s true if the homeowner wants to own a system. With leased solar, homeowners can go solar with little or no upfront cost. The homeowner still receives a monthly electricity bill that is lower than what they currently pay to the utility. The cost of the monthly payment depends on a variety of factors, including tiered electricity costs in your area, the size of the system required on your home, rebates offered, etc. How much am I going to save with solar? How much you will save will be specific to you and it depends on your usage, your rate, and the rate charged by your local utility. If utility rates continue to increase as they have historically, solar customers will save substantially on electricity bills over the life of having solar. Do I get tax credits and rebates? There are both Federal and State incentives for purchasing residential solar panels that a homeowner can take advantage of if they purchase solar panels. As the owner of the panels, leased solar providers take advantage of those incentives as a means to lower the price you pay for your solar electricity. This way, you don’t have to deal with extra paperwork, but you still get the price advantage. What are tiered utility rates and why do they matter? Tiered utility rates are part of the reason electricity has become so expensive. With tiered rates, the more electricity you use, the higher your rate becomes per kilowatt hour. These tiers are typically less regulated or not regulated at all, which means that utility companies have the ability to raise rates without your consent. You’re allowed a certain amount of power in each tier; once you’ve exceeded that amount, you are subject to pay the next highest tiered rate. Lower tiered rates are generally affordable and higher tiered rates can be very expensive. In many cases, leased solar providers will recommend a system that only offsets your expensive tiers, to help you maximize your savings. The nice thing about going solar is that you can better predict your electricity costs for decades to come. Where do the panels go on my house? In most cases, panels are installed on the southernmost side of the home to ensure the highest amount of sun exposure and production possible. The size and number of the panels are designed specifically for your home and energy consumption. What’s the difference between grid-tied solar and off-the-grid solar? Grid-tied solar is a solar system that uses a utility’s electrical grid to send and receive power. Off-the-grid solar is a solar system that utilizes a battery backup that is not tied to a utility’s grid. With third-party-owned solar, the system is tied to the grid so that your system can use your utility company’s grid for electricity storage. While it would be ideal for solar customers to be completely off the grid, batteries that store solar electricity are highly expensive, and the waste management is very toxic to the environment. For more information, head over to the Sunrun website. They know all there is to know about solar leases, because they invented solar service, a way to get solar on your roof without the high upfront ocst and hassle of ownership. They install, insure, monitor, and maintain a solar system that is designed specifically for you and your home. You pay a low, locked-in rate for the electricity that the panels produce without any of the maintenance hassles that solar panel owners have to go through. Sunrun is giving away a Nest thermostat! Go to the Sunrun sweepstakes on Facebook for more information and to enter. 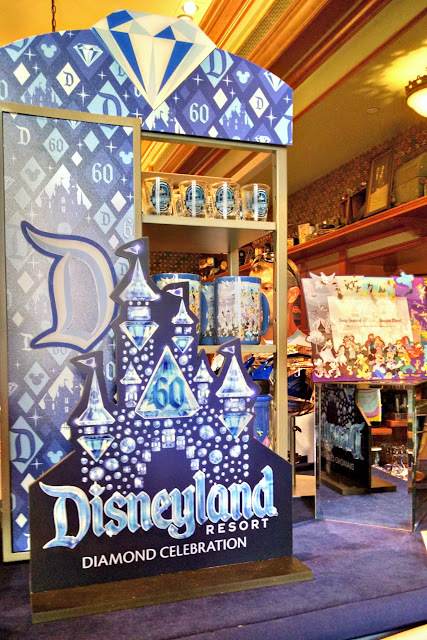 It's a shopper's paradise at the Disneyland Resort this year, because it's Disneyland's 60th Anniversary, and the Diamond Celebration Merchandise collection has hit stores around the resort! Over the course of the celebration, Disney will release more than 500 merchandise items, including apparel, accessories, headwear, home décor, souvenirs, toys, pins, D-Tech, collectibles and more. 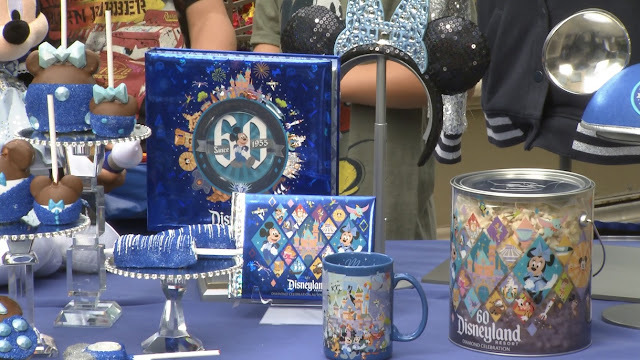 On our recent trip to the Disneyland Resort, the boys and I had the chance to meet with Summer from Disney's Merchandising Department, to take a look at some of the merchandise that Disney has released for the Diamond Celebration. 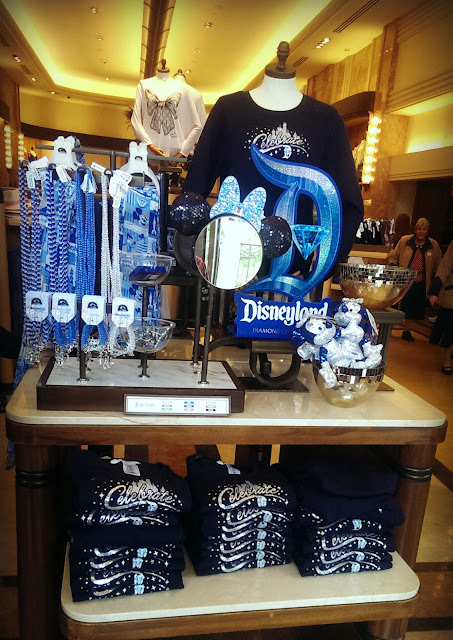 These items are now on sale, only at the Disneyland Resort, for a limited time. Check out our video below! 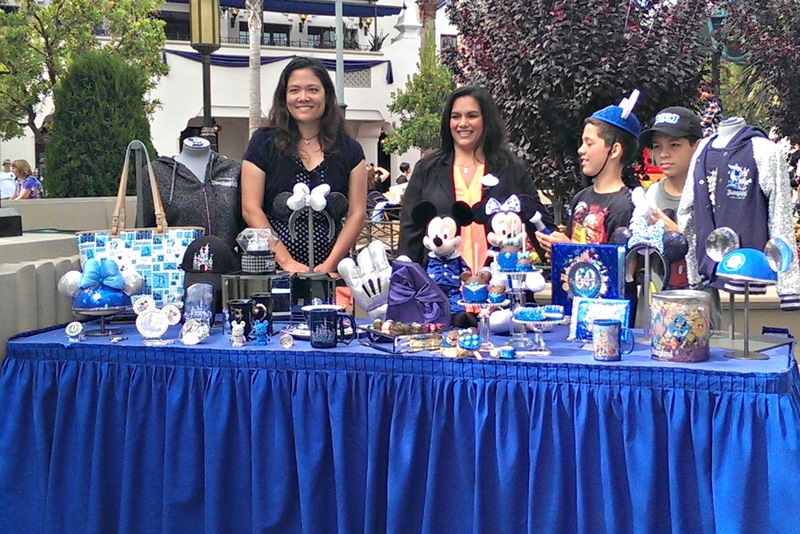 It was so much fun going through the whole table of items! My favorite has got to be the Dooney and Burke shopper tote. Caramel apples, cake pops, marshmallow wands, photo album, autograph book, mug, and popcorn bucket (you can see more special popcorn buckets in my Disneyland Diamond Celebration Treats post). 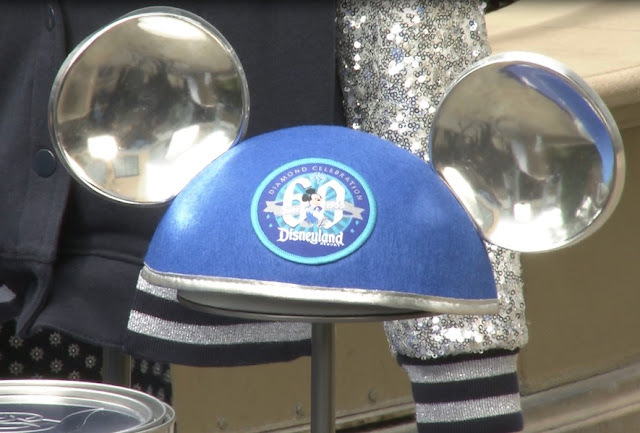 The Diamond Celebration version of the classic Mickey ears. This is the Made With Magic paintbrush that Jammy was holding. 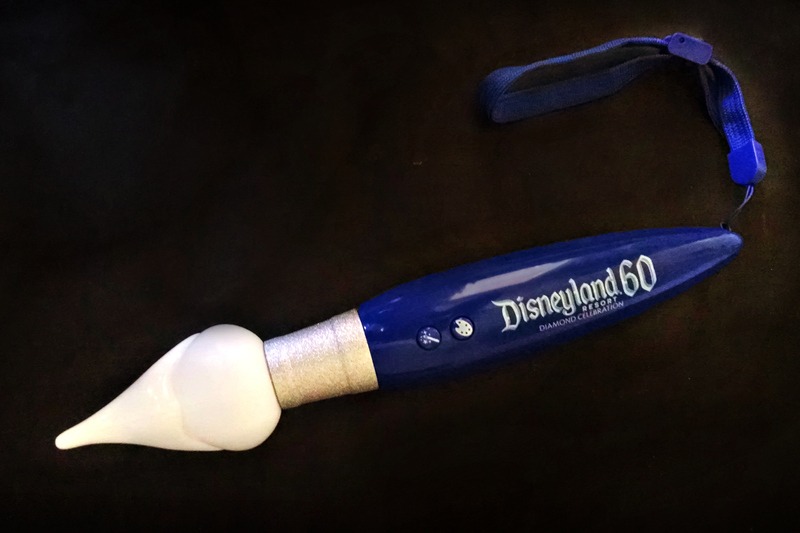 Turn it on, and the tip glows with changing colored lights. 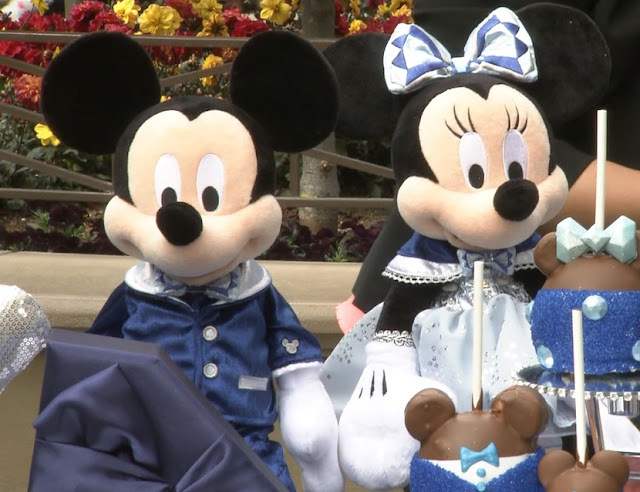 Press the button with the magic wand icon in order to change the color of the Made With Magic Mickey Ears and Made With Magic Mickey Mitt. That's only a small subset of the items available! Items for the home include pillows, frames, blankets, and mugs. Fashion items include shirts, sweatshirts, hoodies, caps, hats, scarves, and jewelry. 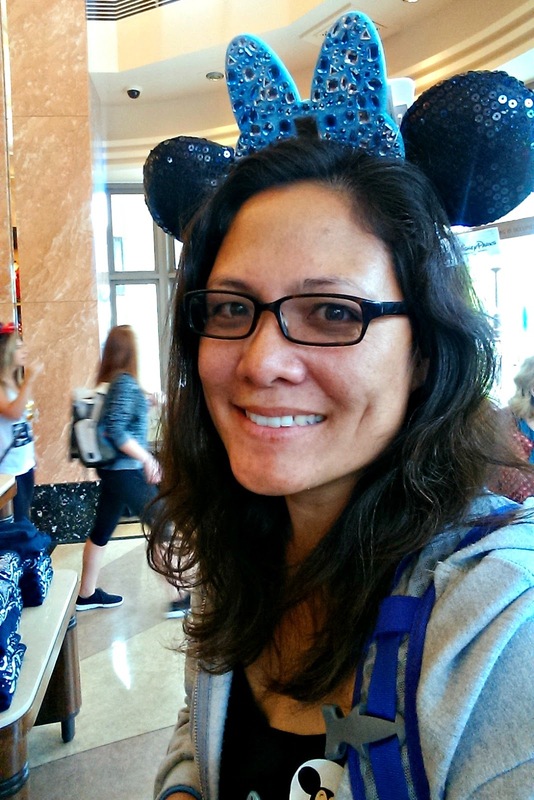 I couldn't resist trying on the sparkly Minnie ears! Pins, pins, pins! You know we love trading pins! 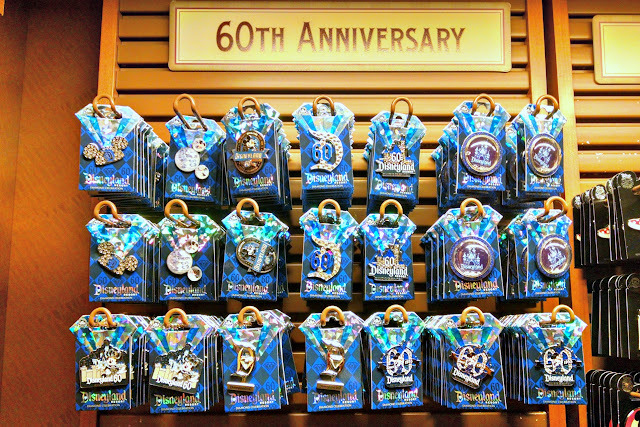 The 60th Anniversary pins are a great commemorative item because they are so inexpensive, starting at just $9.95 for a pin, $9.95 for a lanyard, and $5.95 for a plastic pouch. Stay tuned for a separate post featuring a closer look at the 60th Anniversary pins! Which Diamond Celebration merchandise item would you most like to own? Our latest family TV obsession is American Ninja Warriors. Once a week we cheer on some of the fittest people on the planet as they try to make their way past some crazy obstacles and challenge themselves to push the limits of where the body can go. 3Po and Jammy have been so inspired by the competitors, they've begun practicing their pull-ups and pushups and monkey bar runs on the playground. Parkour is their latest obsession,and they love to scamper around the play structure at our local park. I'd love to take them to a parkour gym so they can take a shot at some of the (modified) obstacles that American Ninja Warrior would face! How I wish the BattleFrog Tri-State Race were happening in our area! 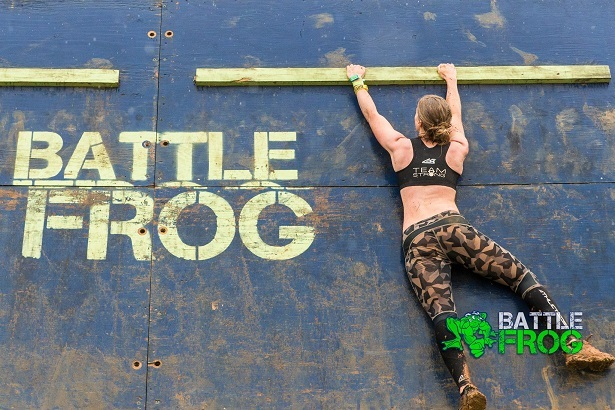 BattleFrog is an obstacle race series designed by U.S. Navy SEALs. 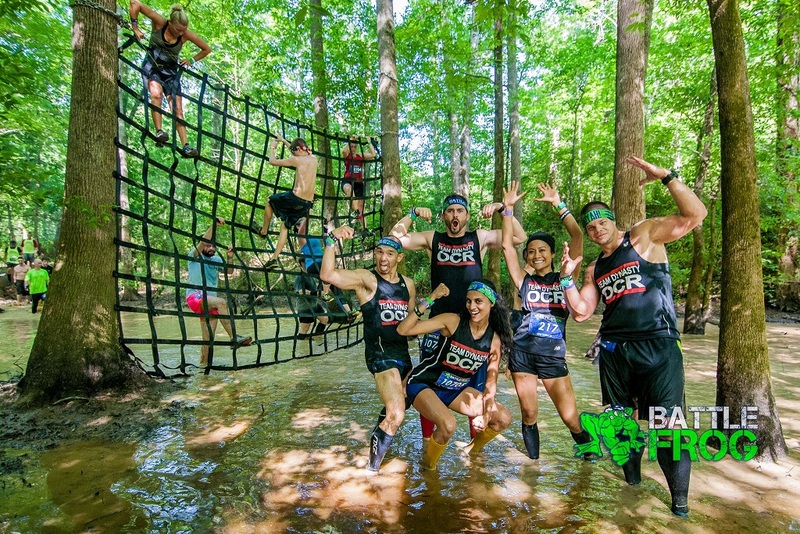 The obstacles are designed to simulate the rigorous training that a Navy SEAL receives, but they are modified so athletes, weekend warriors, and yes, even families, can challenge themselves while having fun. TadPole Dash: The TadPole dash is for 4-8 year olds. The course has 8+ obstacles, through 400 meters, and is guaranteed to deliver a new experience of self-discovery. 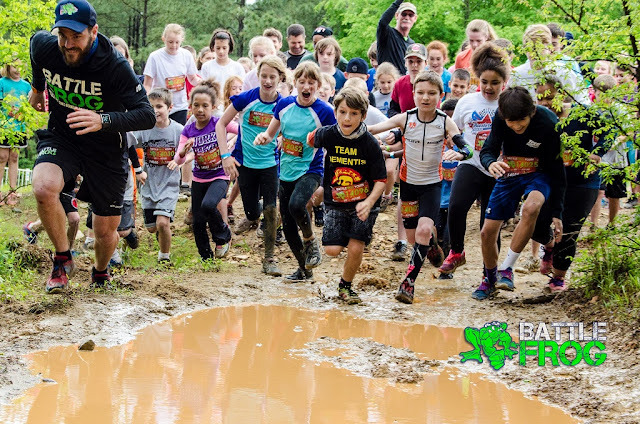 Children will learn they can take on these new and exciting challenges, while becoming “Fit for the Future”, getting totally muddy and having the time of their lives. BullFrog Mile: For your slightly older kids there is the BullFrog Mile. Your children can test themselves on at least ten of the full-size obstacles the top competitors tackle, but with a more manageable distance of one mile. Designed for kids ages 8 to 13, your kids can sample the mud crawls, climbing walls, slip and slides and our “boot camp” military fitness exercise. All with Navy SEAL motivation throughout the course as your kids work with other racers as an individual or on a team. 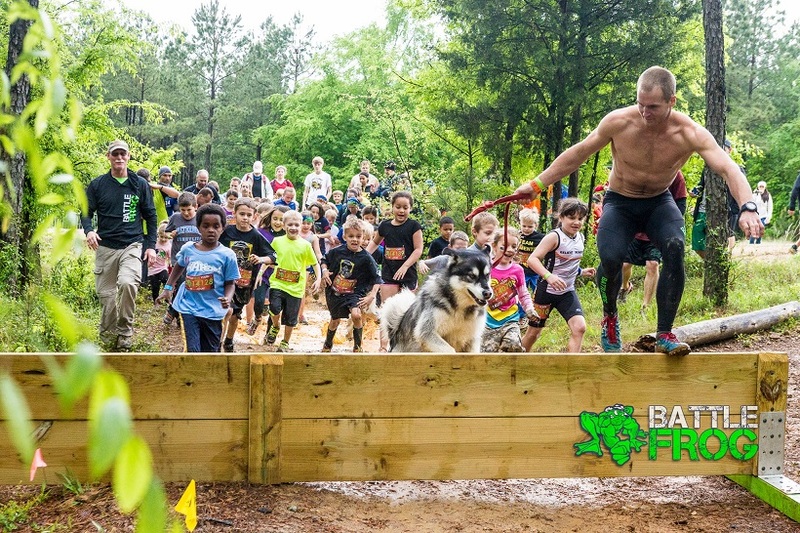 The BullFrog Mile combines the right amount of challenge with the right amount of fun. BattleFrog 8K: The BattleFrog course is a total test for people of all fitness levels from ages 13 and up. Each step is inspired by the training that forges SEAL operators and prepares them to do anything, anytime, anywhere. The approximate 8K course will take you through 22+ SEAL-inspired obstacles that use air, land and water to test your body, mind and spirit. Finishers receive a banana, water, protein bar, and beer (if 21 and older). There's also a festival at the finish line with free wine tasting, beer for purchase, music, and portrait stations. How fun is that! I know my kids would absolutely LOVE to do the BullFrog Mile! And I'd love to challenge myself on the BattleFrog 8K. I'm not sure if I would be able to get up the next day, but I know I'd have a great time and I'd have the satisfaction of having set my mind to a goal and accomplishing it! The Tri-State Battlefrog will be held on June 20, 2015 at New Jersey's Raceway Park in Englishtown, New Jersey. Register at http://battlefrogseries.com/tristate2015/. If you don't live near the Tri-State area, check out http://battlefrogseries.com for more dates and locations! Disclosure: This is a sponsored post. Event info was provided by Xomad marketing. The views and opinions expressed here are my own.